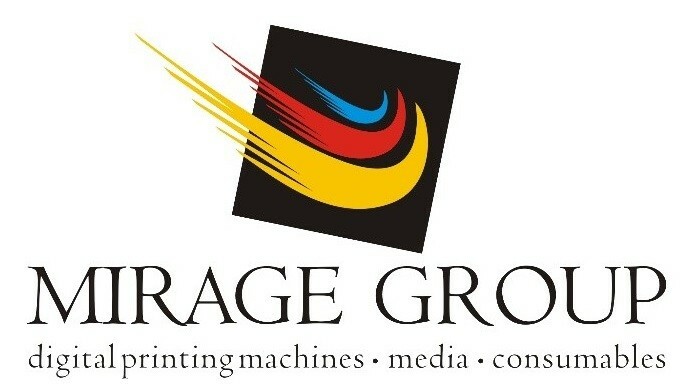 Mirage Group Ltd. is an official representative and certified service partner of world-famous manufacturers of machines, consumables and media for wide format digital printing and finishing machines. HP wide format printers and low volume Latex series, d.gen textile printers, Canon Oce Flatbed wide format printers and water based IPF series, Zünd High-precision cutters, Seiko digital printers, Forsstrom High-frequency welding machines, Summa cutters, Seal laminators, Matic finishing machines, Rollsroller aplicators, Rimslow, Neschen laminators etc. The company possesses warehouse and office premises in the towns of Ruse, Sofia, Plovdiv and Varna. In 2008 Mirage Group opened a branch in Macedonia – Mirage MK – based in Skopje. In May 2010 Mirage Group founded its next branch – Mirage SRB – with three new offices and adjacent warehouses in Serbia, respectively based in Belgrade, Nis and Novi Sad. In June 2012 a new branch of the Group, based in Malta was established. The latest expansion of the company was registered in 2017 – Mirage Africa. One of the significant advantages of the company is the technical service. The team consists of technicians qualified and certified by leading world leaders in hardware manufacturing in the digital printing and finishing machines business. Our specialists serve machines in both warranty and after warranty period. They also offer services such as installing, preserving, and uninstalling machines. As a result of this, our company is preferred partner because it offers complete solutions inthe digital printing business, “End to End Solutions”.